Chicago (AFP) - Amid protests and accusations of a power grab, the Republican-led Wisconsin legislature approved a package of measures Wednesday intended to curb the authority of the US state's newly-elected, incoming Democratic governor. The measures also reset the 2020 primary election date and reduce the length of early voting -- efforts seen as helpful to future Republican candidates. "Wisconsin has never seen anything like this. Power-hungry politicians rushed through sweeping changes to our laws to expand their own power and override the will of the people," Evers said in a statement. Republicans defended their actions as intended to codify into law a more active role for the state's GOP-led legislature and creating a more balanced power dynamic with the governor's office. "Democrats have been exaggerating and resorting to hyperbole throughout the debate," state assembly speaker Robin Vos tweeted. But crowds of protesters descended on the state capitol in Madison in repudiation, shouting "shame" and booing lawmakers inside. Despite the furious response, Republicans pressed ahead -- passing their bills in the state senate in the early morning hours Wednesday and later in the morning in the state assembly. If he does, Evers and the incoming attorney general, also a Democrat whose powers would be curbed, promised to challenge the new laws in court. 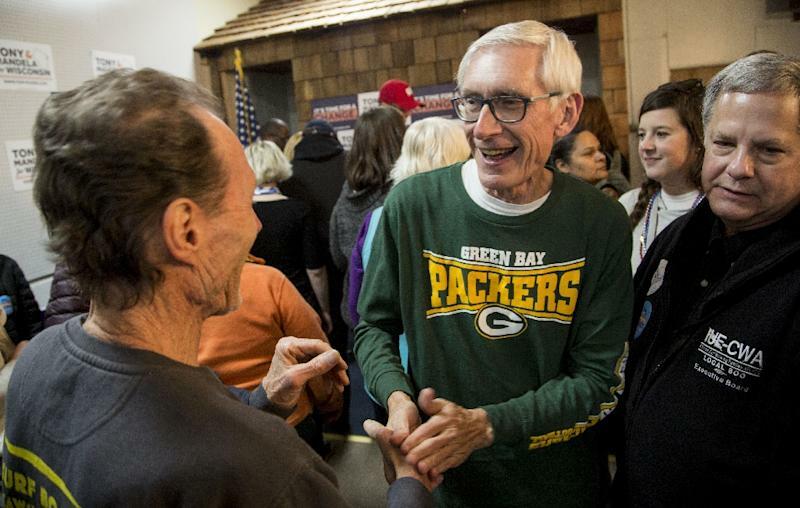 The battle spilled over Wisconsin's borders, with national political figures weighing in. David Axelrod, former president Barack Obama's chief campaign strategist, said Republicans had done "a huge favor" to the state's Democrats "as this eleventh hour, last gasp power grab invites a tremendous voter backlash." Former Obama administration attorney general Eric Holder called the Republicans' maneuvering in several states "shameful."